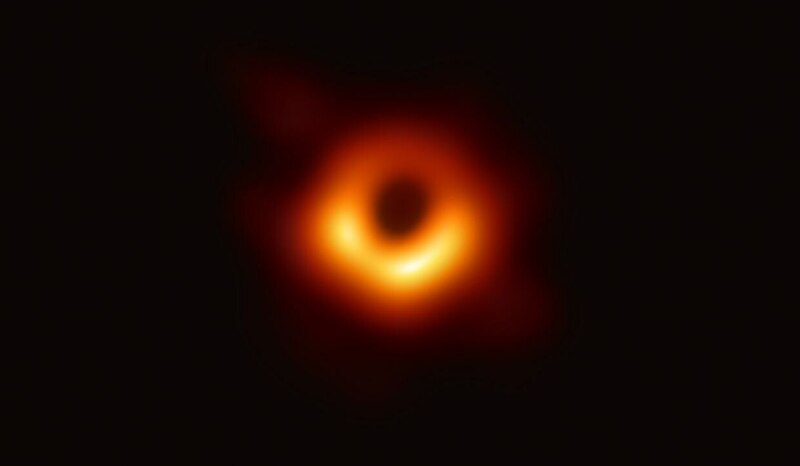 An image released on April 10 shows the event horizon of a black hole in the M87 galaxy, the first photograph of a black hole ever taken. As an idea, black holes have been with us for more than a century. By degrees they have been imagined, sensed, measured and even heard. Yet not until now have scientists been able to lay claim to the most direct form of proof to date. For the first time, we know what a black hole looks like. The jaw-dropping image – less impressive, perhaps, to non-experts for its appearance than for what it means – is as close as humanity has ever come to visualizing one of the dark behemoths churning away in distant corners of the universe. “For me, seeing the thing makes it real in a way that knowing can’t,” said Avery Broderick, a researcher at the Perimeter Institute for Theoretical Physics and the University of Waterloo, and a long-time member of the team that produced the image. Avery Broderick, a researcher at the Perimeter Institute for Theoretical Physics and the University of Waterloo, stands in front of the image of the black hole. Watch this video for Ivan Semeniuk's explanation of the significance of the team's discovery. 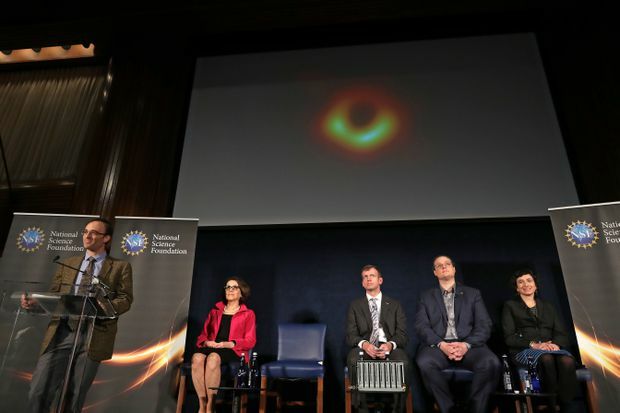 Dr. Broderick, second from right, sits as Event Horizon Telescope director Sheperd Doeleman speaks about the black hole at an April 10 news conference in Washington. Also present are France Cordova, the National Science Foundation director, second from left; University of Arizona associate professor of astronomy Dan Marrone, middle; and Sera Markoff, University of Amsterdam professor of theoretical high-energy astrophysics. 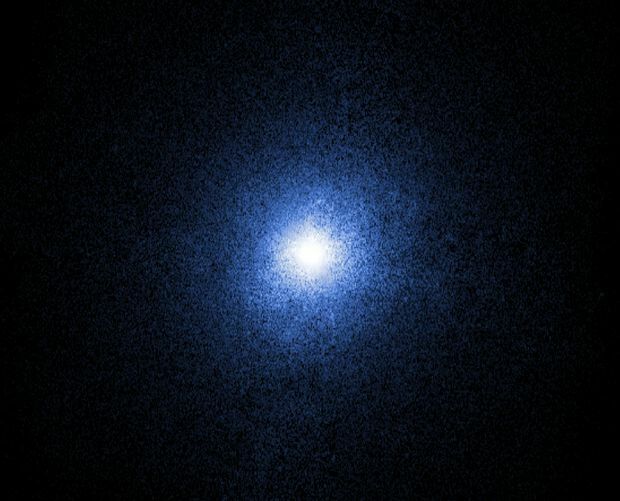 The “thing” Dr. Broderick and his colleagues revealed to the world on Wednesday is a behemoth – monstrous even by black-hole standards – buried in the heart of a distant galaxy called M87, more than 50 million light years away in the direction of the constellation Virgo. The image was made by combining data from ground-based radio telescopes in eight locations. Its appearance is remarkably close to what theory had predicted. Since black holes do not emit light, the image appears in silhouette, surrounded by a brilliant glow from the hot gas swirling around it. The distortion of space due to the black hole’s extreme gravity causes the glow to appear as a circular ring, as though viewed through a strong lens. The size and shape of the ring mathematically confirm that the black hole is larger than our solar system and contains the mass of more than six billion suns. “I think that any scientist in any field would know what that feeling is to see something for the first time... to know that you’ve uncovered part of the universe that was off limits to us," said Shep Doeleman, a Harvard University astronomer who initiated the project, known as the Event Horizon Telescope, more than a dozen years ago. At a news briefing on Wednesday morning in Washington, Dr. Doeleman explained that no conventional camera or single instrument can produce such an image, which spans an area of the sky about the size of a Canadian two-dollar coin seen at the distance of the moon. Instead, the sensitive radio dishes at facilities around the world map high-frequency radio signals emanating from the violent environment where superheated matter is on the brink of vanishing forever into the black hole. The project began in 2007 with three locations – enough to test the idea but not enough to produce an image of a black hole. More observatories joined in, including the 66-dish ALMA array, based in Chile, and radio telescopes in Greenland and at the South Pole. This has significantly improved the sharpness and the level of detail the combined data can reveal. Those data, after many months of analysis, yielded this week’s historic image. “I have to admit I was a little stunned that it matched so closely the predictions that we had made,” Dr. Broderick said. A photo provided in 2000 by NASA, ESA and the Hubble Heritage Team shows a jet of subatomic particles, traveling at nearly the speed of light, as it streams from the centre of the galaxy M87. 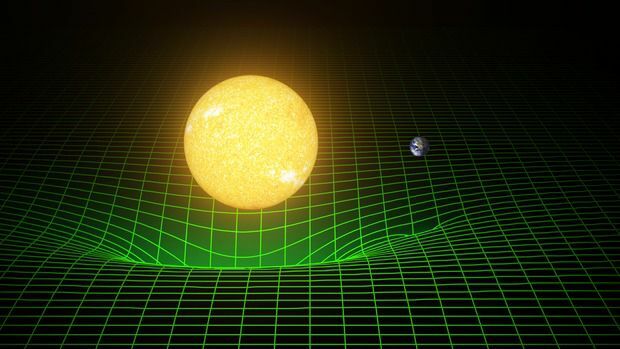 Those predictions are guided by the equations of Albert Einstein’s 1915 general theory of relativity, which describes gravity as curved space and demonstrates that when enough mass is concentrated in one place, the curve can become a trap. Whatever falls inside remains forever cut off from the rest of the universe behind a boundary known as the event horizon, which is not a physical barrier but a point of no return for light and everything else. Even Einstein was skeptical such a thing could exist, but for decades, evidence has mounted that black holes are real. They are now known to come in two varieties. Some are formed by the gravitational collapse of massive stars. These are compact objects with event horizons measuring tens of kilometres across. In contrast, the Event Horizon Telescope is aimed at supermassive black holes, which are thought to reside in the cores of most galaxies. Only two have the right combination of distance and size to yield an image. One is at the centre of our own Milky Way galaxy. Researchers with the project said they already have the data that could lead to an image of this object in the coming months. The other target is the more remote but much larger black hole in M87. Daryl Haggard, an astrophysicist at McGill University who is affiliated with the project, said the image links the action immediately around the black hole to regions just a bit further out, where electrically charged particles that have narrowly missed falling into the black hole are rocketed outward by powerful magnetic fields at nearly the speed of light. “This is our first chance to really get in there, right down where material is at that decision point of falling in or being driven out,” she said. Julie Hlavacek-Larrondo, a University of Montreal astrophysicist who is not a team member but whose work focuses on supermassive black holes, called the result an important counterpart to the recent detection of gravitational waves, minute vibrations produced by the collisions of stellar-size black holes. A NASA artist's concept illustration shows what a supermassive black hole, billions of times the mass of our sun, would look like. 1915: Albert Einstein publishes his theory of general relativity, a mathematical way of describing gravity in which mass acts to curve space and time. The new theory correctly predicts that the Sun’s gravity bends the incoming light of background stars. 1916: Karl Schwarzschild, a German astronomer stationed on the Russian front during the First World War, quickly recasts Einstein’s equations into a more versatile form and shows that when mass is sufficiently concentrated, space can be curved so much that it traps light. An illustration shows the space-time continuum as a green grid and imagines how the sun and Earth warp it with gravity. The theory is that a black hole's gravity well is so powerful that not even light can escape it. 1938: Together with two graduate students, Robert Oppenheimer, future father of the atom bomb, demonstrates how a collapsing star might concentrate mass in a way that matches Schwarzschild’s description. 1947: John Bolton and Gordon Stanley, two astronomers working with an early form of radio telescope in New Zealand, discover a number of celestial sources of radio energy, including one they call “Virgo A,” identified with the galaxy M87, an early clue to the giant black hole that will later be discovered there. 1964: An X-ray detector carried on a rocket launched from New Mexico spots Cygnus X-1, one of the brightest known astronomical sources of X-rays, later shown to be emitted by hot gas plunging into a black hole. 1967: Although the words “black hole” have already been used from time to time in a metaphorical sense, the U.S. physicist John Wheeler cements the term in the scientific lexicon when he uses it in a talk about gravitationally collapsed objects during a conference lecture. An X-ray image from the Chandra X-Ray Observatory shows Cygnus X-1, a star being orbited by what is believed to be a black hole. 1971: Tom Bolton, an astronomer working at the David Dunlap Observatory in Richmond Hill, Ont., observers the motion of a companion star around Cygnus X-1. The motion reveals that the object the star is orbiting is too massive to be anything other than a black hole, presumably formed by a single collapsed star. Using a similar principle, astronomers will later show that a much larger black hole, equal to the mass of millions of stars, is lurking at the centre of our Milky Way galaxy. 1994: The newly repaired Hubble Space Telescope measures the speed of a rotating cloud of gas at the heart of the galaxy M87, finding that the gravitational field driving the rotation is best explained by an enormous black hole at its centre containing the mass of billions of stars. An illustration shows the merger of two black holes detected by the Laser Interferometer Gravitational-Wave Observatory in 2015, with gravity waves radiating outward from them. 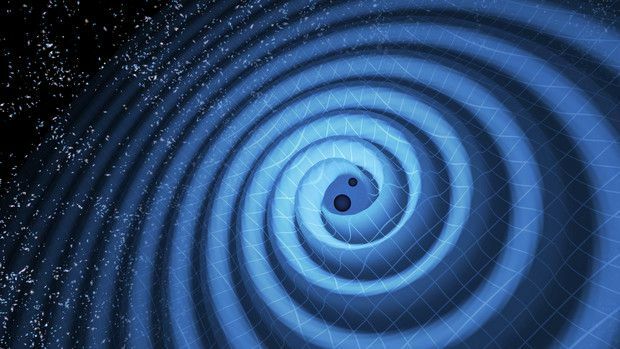 2015: Scientists working with the Laser Interferometer Gravitational Observatory (LIGO) report the first detection of gravitational waves from a pair of stellar-size black holes colliding with each other. 2019: The Event Horizon Telescope reveals the first direct view of a supermassive black hole as a dark region embedded within a disk of glowing gas at the heart of M87.